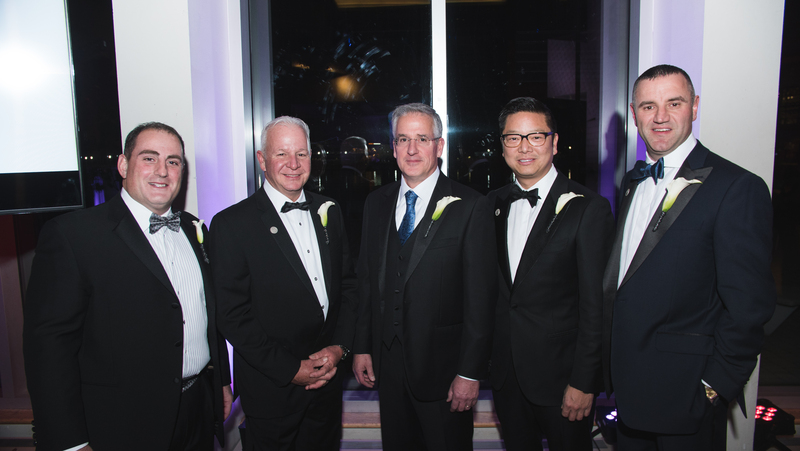 Cleveland, OH (January 9, 2018) The Greater Cleveland Automobile Dealers’ Association (GCADA) has named a new Executive Committee for 2018. The announcement was made by Louis A. Vitantonio, Jr., president of the GCADA. As a part of the new committee for 2018, Robert Morris, dealer principal of Morris Buick GMC Cadillac in North Olmsted, steps down as 2017 Chairman of the GCADA and becomes Chairman of the 2018 Cleveland Auto Show. David Waikem, of the Waikem Auto Family in Massillon, becomes chairman of the GCADA. Vitantonio, who was named President of the GCADA in 2010 and has served with the organization for more than 20 years, will continue to serve as President. “I would especially like to thank Robert Morris for his commitment and hard work this past year,” Vitantonio said. “I also look forward to working with Robert to host the upcoming Cleveland Auto Show. I’m sure it will be one of the most exciting Shows we have ever had. Kevin Joyce of Joyce Buick GMC moves up from 2nd Vice Chairman to 1st Vice Chairman. Joey Huang, of the Great Lakes Auto Group steps up from Treasurer to his new duties 2nd Vice Chairman. Paul Hrnchar, the GCADA newest Executive Committee member, assumes his duties as Treasurer of the organization. The GCADA has served the retail-automobile industry and community with integrity and distinction since 1915. Headquartered in Brecksville, OH the GCADA represents over 250 franchised motor vehicle dealers, which include new-car, truck, motorcycle and RV dealers in a 21-county region of Northern Ohio along the Lake Erie shore and beyond. The GCADA also provides support to post secondary education and apprenticeship programs, while supporting many businesses and organizations that provide valuable services to its member dealers.